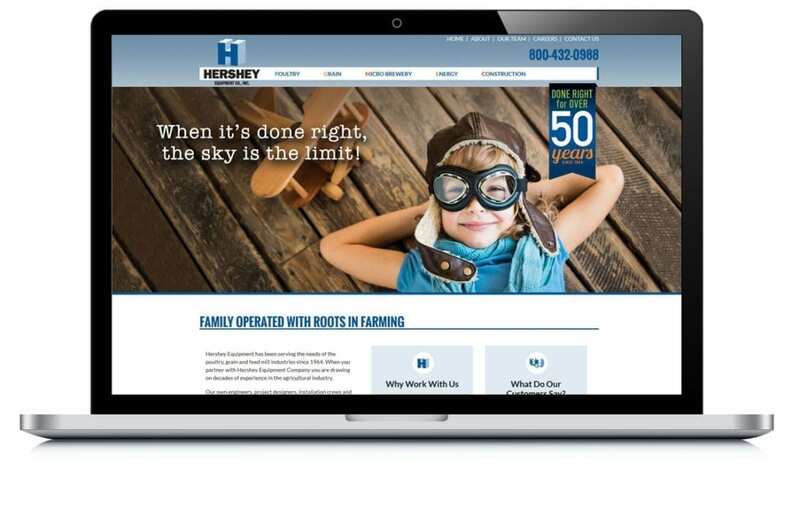 Hershey Equipment Co. was looking to update and redesign their website to be primarily an information site which would present them in the best light. They were also looking for print services, such as a vinyl banner and products to promote their 50th anniversary, the first step was the banner. They were so pleased with our quick production and responsiveness that they chose to work with us primarily as their agency. We created them many promo items along with a modern, informational website that fits their brand. View related Wholesale Supplies examples.